If you’ve been looking around for a fun, Mario-styled game for your enjoyment, your search is now over. 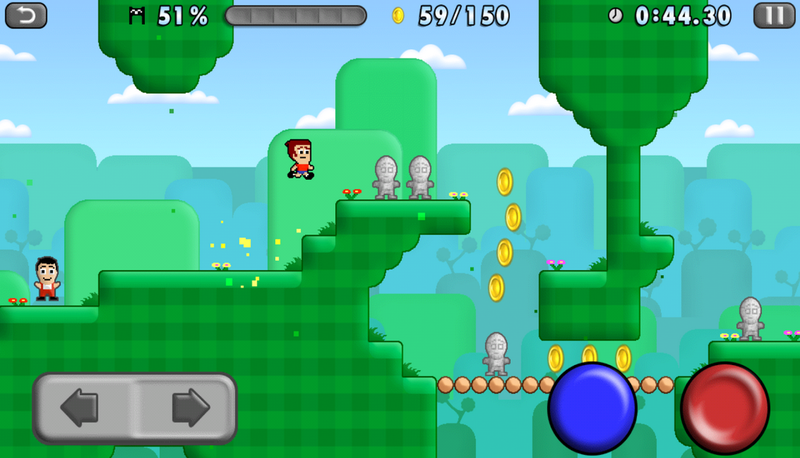 Mikey Shorts is an addicting side-scroller that screams Mario, with the main purpose in the game being to rescue people (a la Princess Peach) and collect coins throughout the game’s 84 levels. Collecting coins allows you to purchase new disguises for your main character, but you’ll face a long wait before you have them all — the game currently features more than 170 of them. Other basic features of this genre are also present, like a end-of-level star system that rewards you for your completion time in the level. Some neat add-ins, though, include the ability to race your best time ghosts (Mario Kart, anyone? ), earn achievements even if you’re offline, and customize your controls to the optimal position. Mikey Shorts is available on Google Play for $0.99, but this one’s easy for me to recommend — it even made the list of our top 5 games in February, so don’t hesitate if you want to try this one out.